A-50DA has a MOSFET Class D amp delivers 90W p/ch, separated construction, aluminium front panel and ESS SABRE32 Ultra DAC with asynchronous transfer for 384kHz formats. Pioneer A-50DA is open to modern music formats with phono input, modern DAC based on ESS SABRE Ultra, thick metal front panel, huge screw terminals and a sturdy remote control. The ultra-efficient MOSFET Class D amplifier delivers 90 watts per channel and has a versatile circuit layout and patterning for optimal design within the bounds of construction. With multiple original parts supporting effective operation, the component fully optimises Class D amplifier, reproducing refreshing, pure sound with subtle details which could not be thoroughly expressed by analogue amplifiers. Pioneer’s “Direct Energy” concept is pursued to the pinnacle, with optimised power supply/output circuit blocks, as well as parts layout to reproduce clearer sound with reduced distortion. The resulting excellent signal transfer and high S/N ratio bring out the best musical reproduction from the integrated amplifier. The windings for the power amplifier, pre-amplifier, and controls are each separated inside the power transformer to cut out noise interference. This allows even more realistic amplification of the audio signals. High-performance 8ch ESS SABRE32 Ultra DAC is adopted on the A-50DA. It features low noise and high S/N ratio that enable 4ch parallel drive for each channel at maximum 384 kHz. The result is clear and open, yet solid sound with superior audio quality. 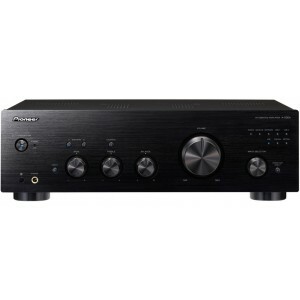 The integrated amplifier allows direct USB connection with a PC. The signal is transfer via USB asynchronous mode, which regulates the transfer process through its high-accuracy clock, ensuring quality sound reproduction. This eliminates jitter, reproducing master quality sound with very precise audio signals. As well as 11.2 MHz DSD, the unit supports LPCM with sampling frequency of 44.1-384kHz and quantization bit rate of 16, 24, and 32 bits. 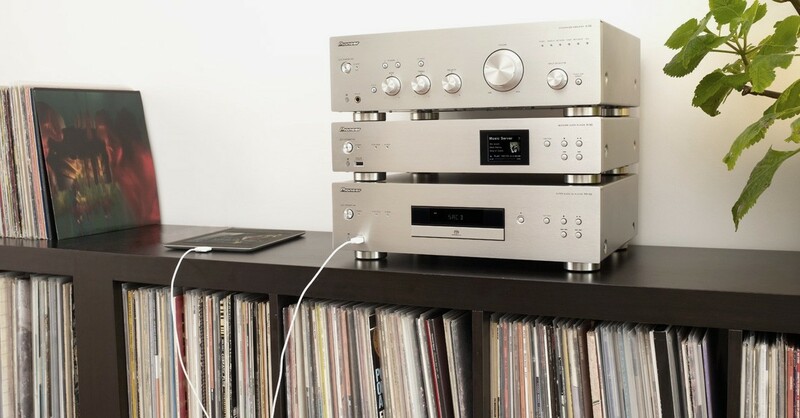 High-grade parts are used for the integrated amplifier’s terminals to provide a stable connection for pure sound delivery. The A-50DAK/-S features machine-cut gold-plated brass speaker terminals, exclusive gold-plated input terminals, and a large AC inlet with polarity indication. The durable brass speaker terminals are set apart to easily accommodate thick high-grade cables. The speaker terminal has a large resin base for additional safety. Extra-thick 3.5 mm aluminium is used for the front panel, providing rigidity for a stable performance. The aluminium volume knob offers a solid, high-grade feel and style. The Input Selector, Balance, and Bass/Treble knobs are also made of aluminium.